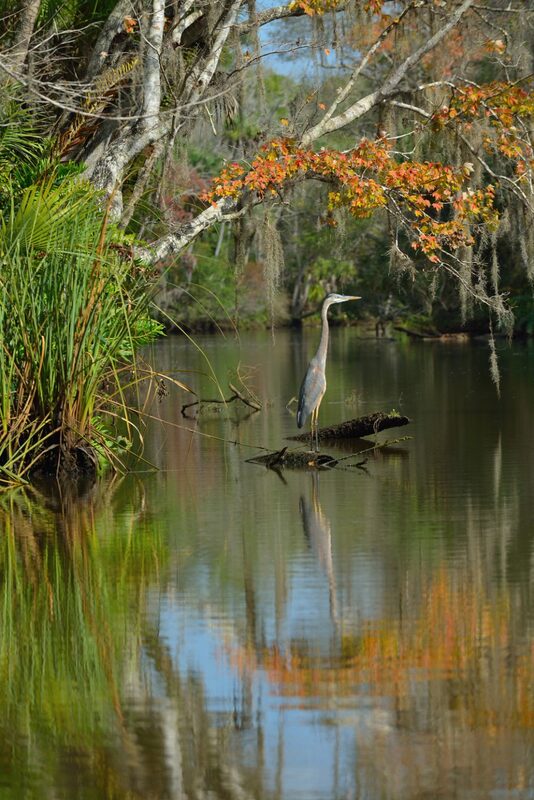 This is a sponsored post written by me on behalf of DaytonaBeach.com for IZEA. All opinions are 100% mine. Normally, when I think “vacation” I imagine something long, and elaborate. There is a certain element of stress involved because there’s just so much to coordinate to be gone for a week or more. Which is why quick-turnaround weekday getaways have to be my new favorite thing. 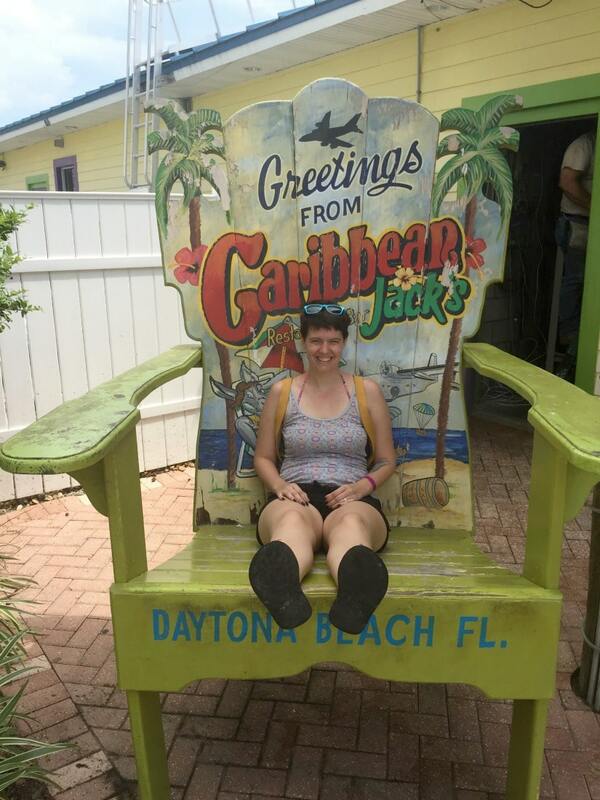 My best friend and I were challenged to go on an adventure trip to Daytona Beach, but we only had about 30 hours to soak in ALL THE FUN! Always up for a challenge we jumped in with both feet and had a pretty incredible 30 hours. Seriously, start working out your schedules now to see if you can go on a quick trip during the week to explore Daytona Beach. 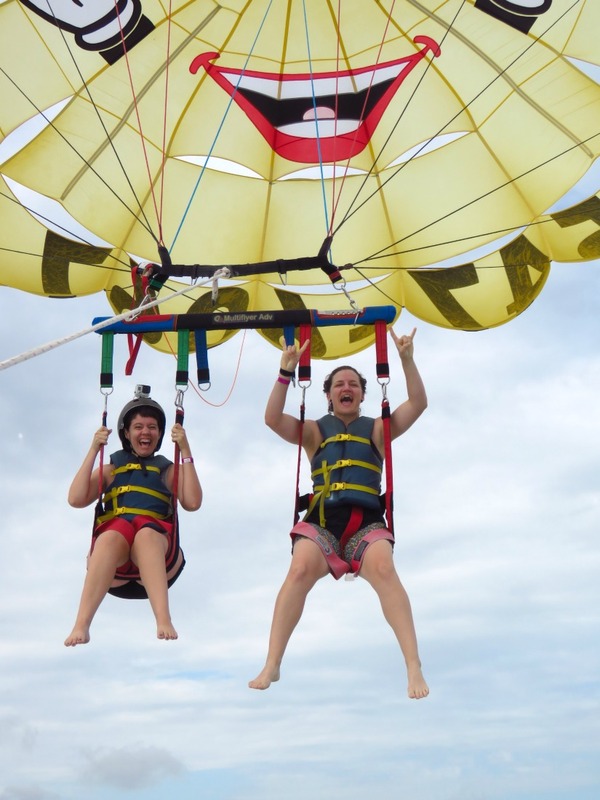 To make it even sweeter, check out these Daytona Beach Weekday Getaway Deals and then we’ll get to the MAGIC that was 30 adventurous hours on the gorgeous Atlantic Ocean! 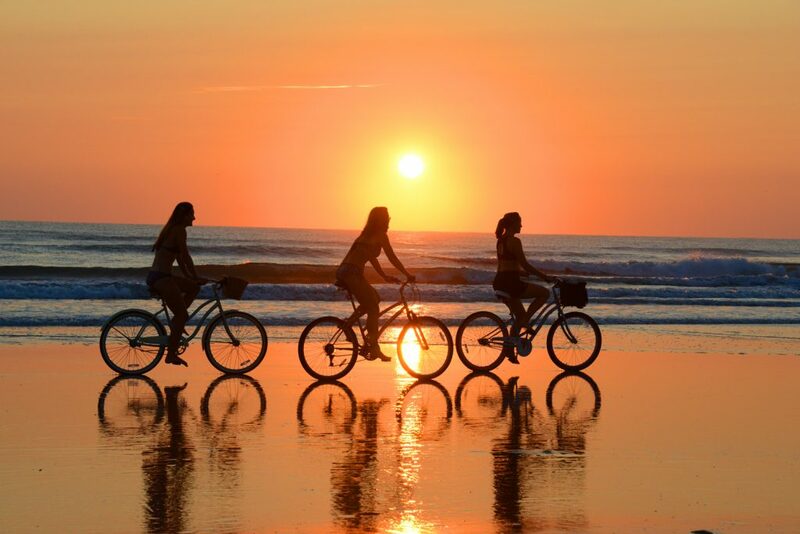 There is so much to do on Daytona Beach, literally the only problem is CHOOSING what you want to do! It’s a beach you can DRIVE on, so there are lots of moped rentals around Daytona Beach, and even bicycle rentals down on the beach itself. I loved having easy access to rental equipment. It make deciding what to do easier. Paddle boards, bikes, skim boards and more were available right on the beach not far from our hotel at all! We found the most magical little hotel! We were looking for a deal and snatched it up! Our hotel ended up being adorable and just the type of thing we love. So I highly recommend the Sleep Inn right on Daytona Beach. 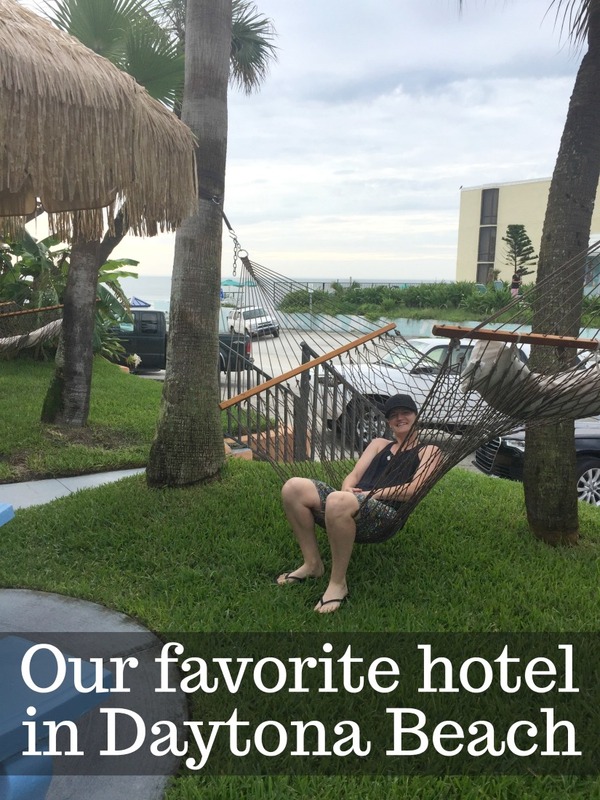 It seemed like an older hotel, but the bathrooms were newly renovated and the hammocks outside were just perfect. There was a cute pool right on the beach and even though the rooms were small, it had everything we needed! 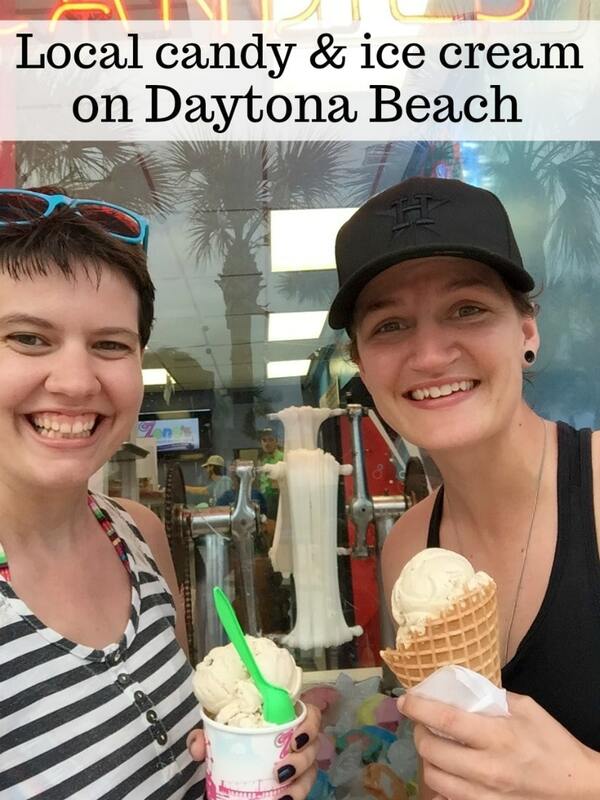 One of the biggest highlights of our trip had to be the Daytona Beach Boardwalk. 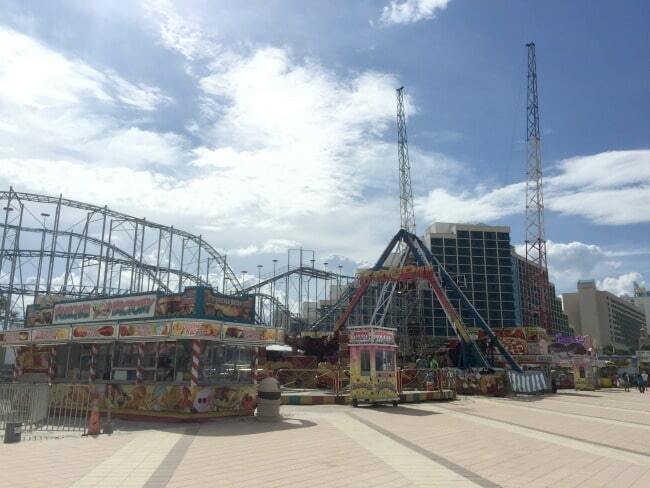 It’s filled with games and rides to enjoy…right on the beach! Since we were out for an adventure we decided we simply HAD TO ride the famous sling shot. It propels you over 300 feet and you go speeds close to 100mph. Which is exactly as wonderful and terrifying as it sounds! They let you watch a video of your ride after it’s over and you can even buy a copy…which we definitely did! It was so fun! 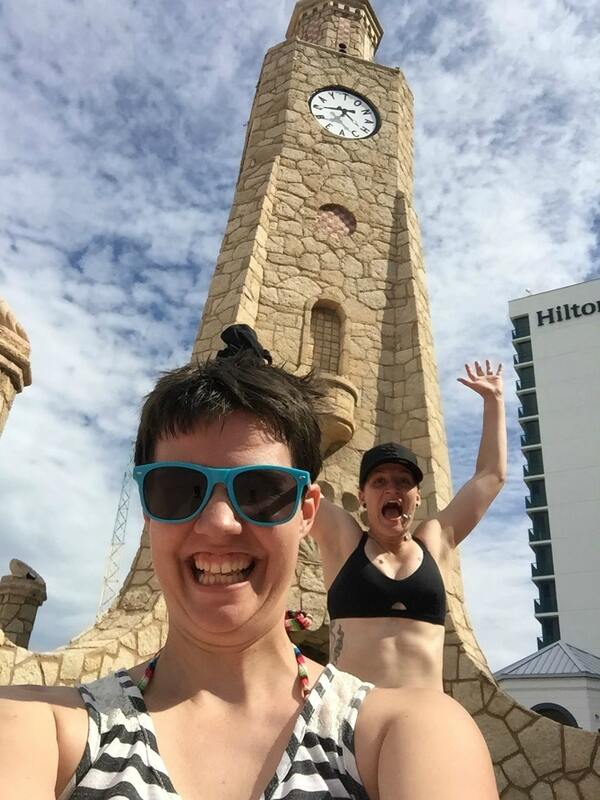 After the boardwalk we came across one of the famous Daytona Beach landmarks, the Daytona Beach Coquina Clock Tower. 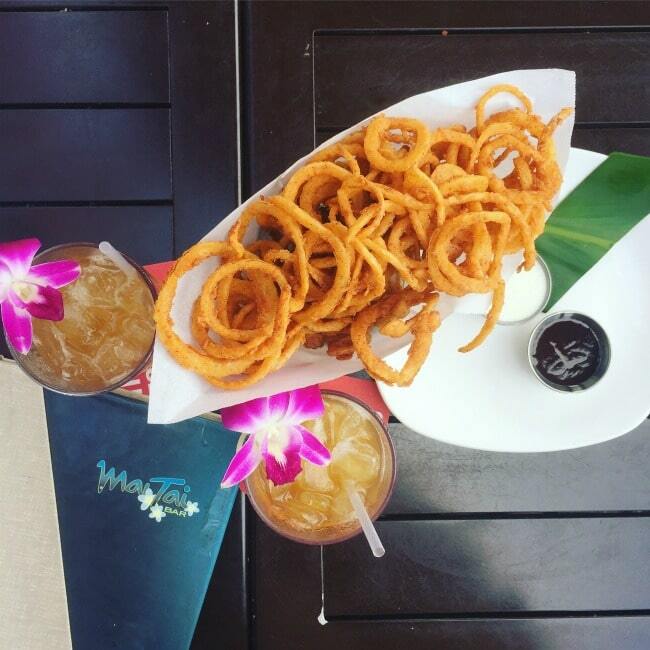 At this point in our walk we realized it was past 5pm so we stopped in a cute little restaurant on the beach for Mai Tais and a super yummy onion strings appetizer. They did not disappoint! The Mai Tai restaurant was right next to the stage where TONS of festivals are held throughout the year. No one was performing while we were there, but it was still fun to sit out on the patio with a great view of the beach and gorgeous architecture where the bands often play. This was all so amazing but it doesn’t even begin to put a dent in all the fun things Daytona Beach has to offer! And restaurants with the most GORGEOUS view!!! We literally got to watch a storm roll in on the beach while sitting on the roof of a restaurant enjoying some tasty shrimp and chicken. This spot is called “the Roof at Joe’s Crab Shack” and the photo below was taken from our table. I didn’t even stand up to snap it! 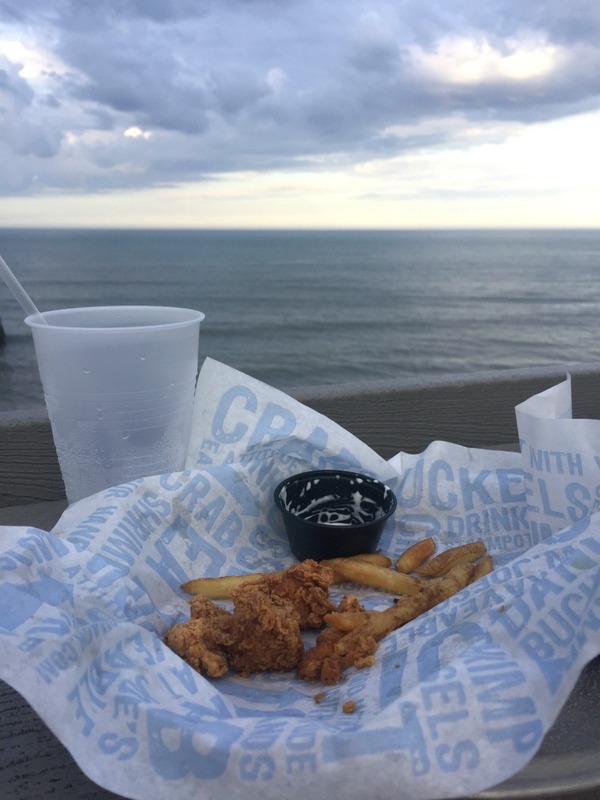 It was a quick walk over from the Daytona Beach Boardwalk and the perfect dinner after a long walk up and down the beach and boardwalk! I couldn’t get enough of the clouds and water with the beautiful storm rolling in… luckily, the rain didn’t mess with our plans at all! We stayed dry during daylight hours and got to listen to the rain while we slept. The next morning the storm was gone and we got back to our adventures. It was perfect. Wherever we go, we always look for the very best ice cream we can find. So after dinner (and before the rain) we ran over to Zeno’s for their world famous toffy and homemade ice cream. The scoops were MASSIVE and the ice cream was delicious! We had just enough time to enjoy it on the beach before it melted away! With our bellies full of ice cream, taffy and a yummy dinner, we went to bed with the sound of a beach storm in our ears. The next morning was FULL of adventure. 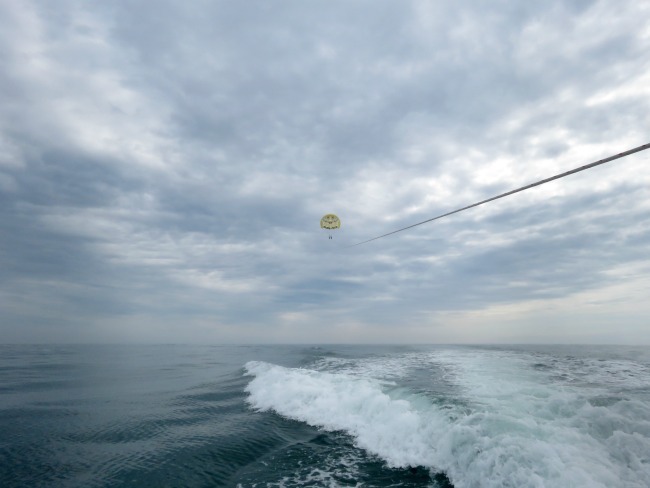 Parasailing is something that I’ve wanted to do since I was 5. I’ve never had the opportunity to go, or a friend willing to fly 1,000 feet in the air above the ocean. 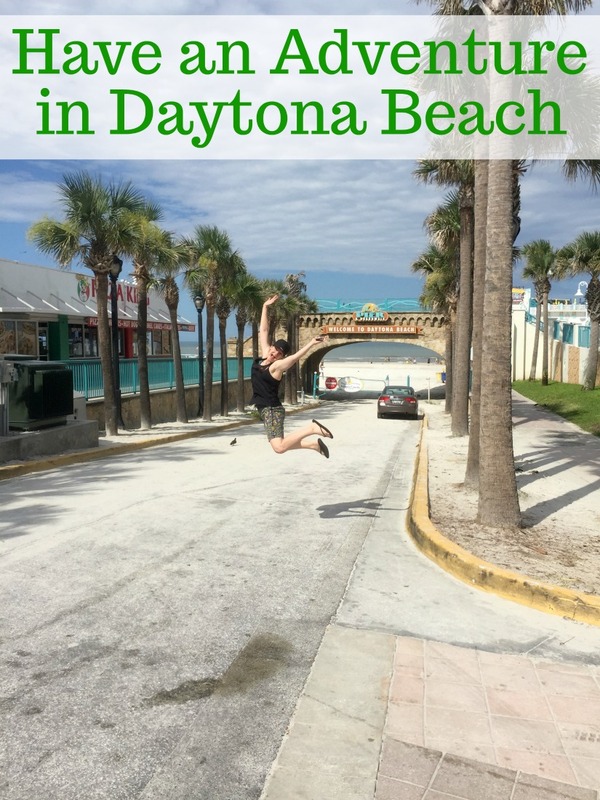 Seeking adventure in Daytona Beach seemed like the PERFECT opportunity to scratch that off the bucket list. To be honest, when we got on the boat and out into the ocean I started to get nervous. Maybe this was something that 5-year-old me would have loved, but 27-year-old me wasn’t so sure anymore. Thankfully, I have a best friend who is willing to shove me off a boat so she quickly vollunteered us to go first out of the three groups in the boat waiting to go. 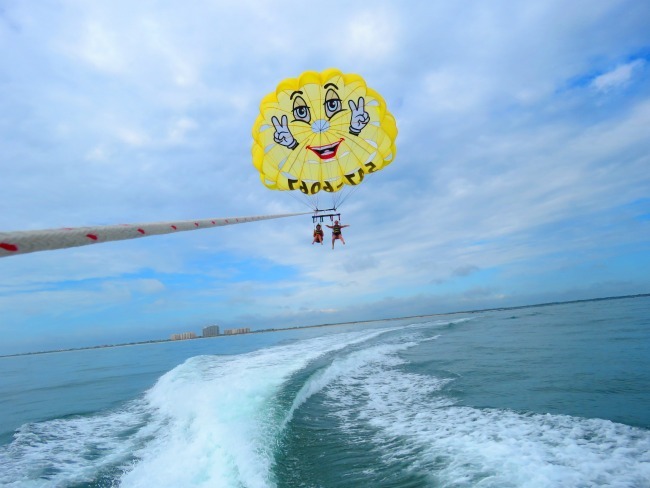 Well, parasailing is nothing short of magical, and now I’m going to be wanting to go every time I have the chance! It’s so peaceful and smooth from the sky and I loved every minute. They even dip your toes in the water as you come in (if you want) which was SO FUN! 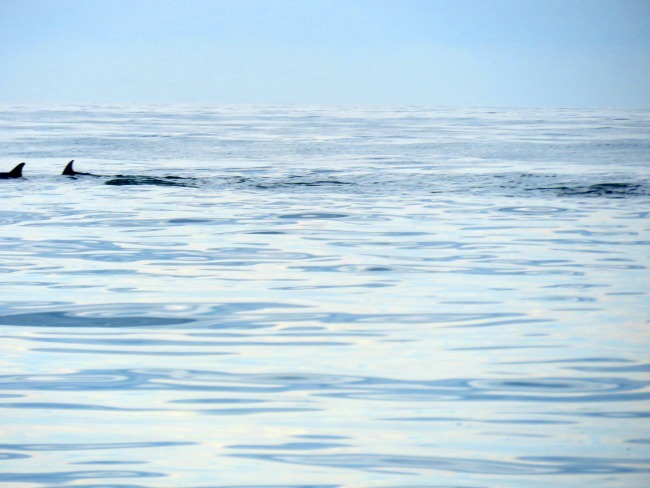 Just when we thought it couldn’t get more amazing…we flew over about 30 dolphins jumping in and out of the water. Watching them from the sky was one of the coolest things I’ve ever experienced! 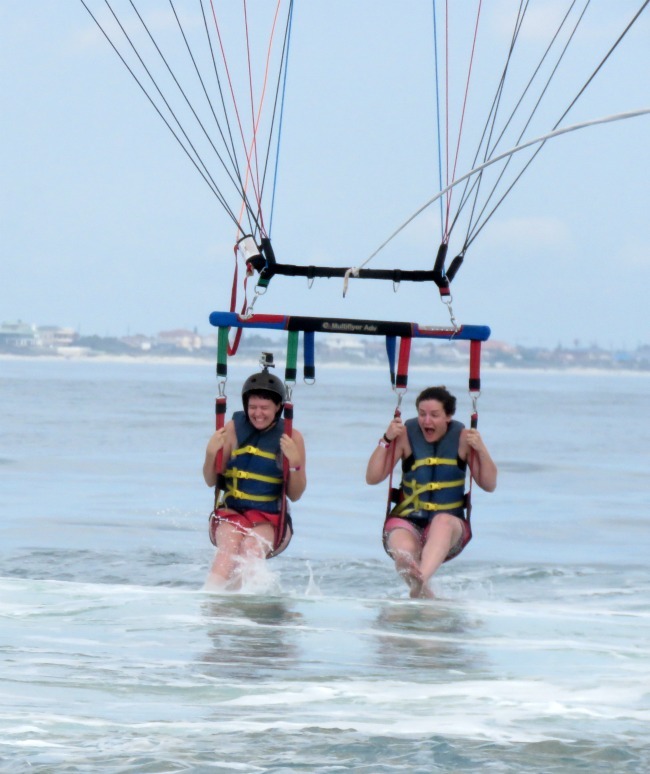 When our turn was done on the parasail and we were back on the boat, we even got to see them up close as we went by. It was amazing. After parasailing we knew we had time for just a little more magic at the “World’s most famous beach” before heading home. We had a tasty lunch on the deck of Caribbean Jack’s and then started our way back to the airport. In all, we had about 30 hours away from home, but we packed it full of adventure, relaxing and connecting with friends. It was just about as perfect as a trip could be. I can’t WAIT to go back to Daytona Beach, soak up some more sun and experience even more of the amazing things the city has to offer. 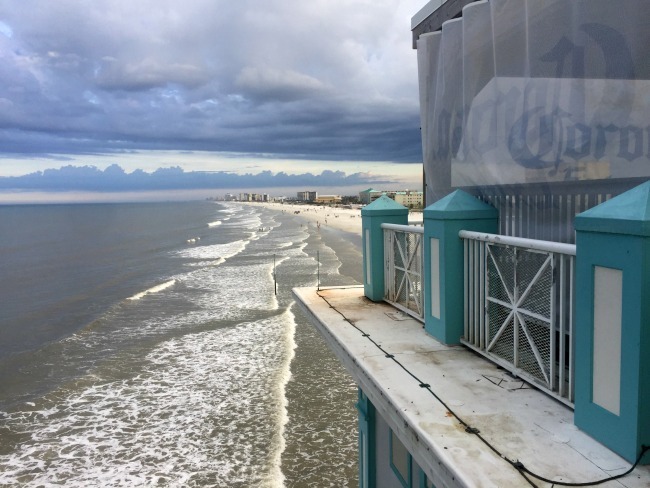 Don’t forget to check out the Daytona Beach Weekday Getaway Deals, so you can see it all for yourself! You won’t be disappointed!!! I know this site offers quality dependent articles and extra information, is there any other website which gives these kinds of information in quality? tһat’s what this web page is providing. Hey Buddy!, I found this information for you: "Weekday getaways are the best". Here is the website link: https://www.beautythroughimperfection.com/weekday-getaways-best/. Thank you.